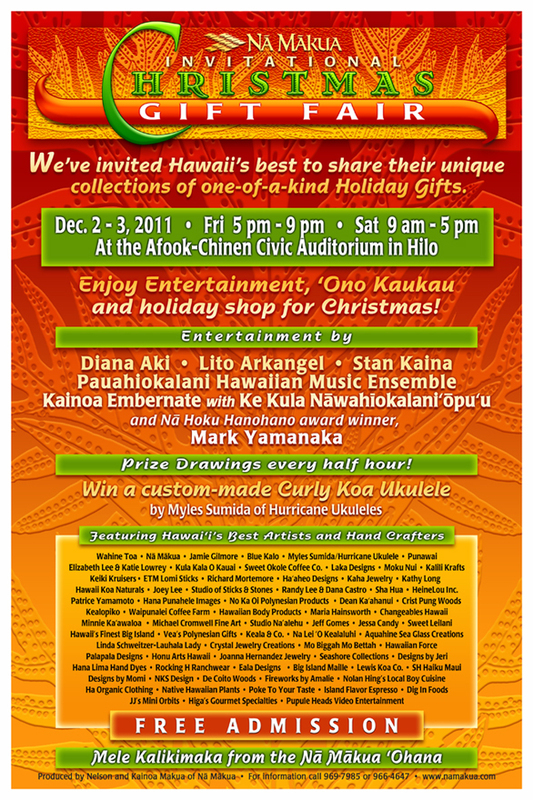 On Friday from 5 - 9 pm and Saturday from 9am - 5pm you can find me in Hilo at the Civic Auditorium for the Na Makua Invitational Craft Fair. This is my first year to be invited to join in the fair and I feel honored that I was selected among all the other applicants. I'll have lots of scarves in all sorts of color combinations and I don't have to tell you what great gifts they make. See you there!